Cenovus held their Investor Day meeting in Toronto this week, where CEO Brian Ferguson defended his decision to buy ConocoPhillips' oil sands assets for $17.7 billion. Ferguson says his company remains focused on cutting billions out of their budget, growing production and cash flow while lowering breakeven costs to US$40/bbl. The company has big expansion plans in the near future, including sanctioning Foster Creek phase F sometime next year and the first phase of Narrows Lake in 2019. Management reiterated plans to raise as much as $5 billion by selling its conventional assets, using the funds to repay short term bridge loans. Ratings agencies DBRS has downgraded Cenvous' credit rating from BBB (high) to BBB. Cenovus stock has tanked almost 50% since the deal was announced. Ferguson also announced he will be stepping down as CEO at the end of October. Enbridge says it will begin construction on the Canadian section of the Line 3 Replacement project in August. The work will involve 600 contractors and up to 200 Enbridge staff, who will begin clearing land and installing pipe. Construction of the section that runs through Alberta and Manitoba is expected to be completed in 2019. The US section of the pipeline still requires approval in Minnesota. The $7.5 billion line is the largest project in the company's history. Enerflex has purchased the compression business of Mesa Compression for US$106 million in cash. The company says this deal will give it access to growing production in the Permian and Scoop/Stack basins. Mesa's President Al Lavenue will take on the role of Senior VP at Enerflex’s US subsidiary Enerflex Energy Systems. Total Energy Services has completed its acquisition of Savanna Energy Corp. Savanna shares have now been delisted from the TSX. Total has secured a $225 million loan from HSBC, used in part to repay Savanna's largest debtor Alberta Investment Management Corp (AIMCo), owed $104.5 million plus interest. Total Energy CEO Daniel Halyk says the management team can now focus on bringing the two companies together "so as to achieve the efficiencies and economies of scale necessary to effectively compete in the marketplace." Encana says its "cube development approach combined with advanced completion practices" has significantly enhanced well performance at its Permian properties. CEO Doug Suttles says the company's continued focus on innovation will make Encana "more valuable and resilient." Cube development is expected to save the company $1.2 million per well versus a traditional well. Encana expects it can safely execute its 5-year plan with oil prices at US$50 a barrel. Imperial Oil and parent company ExxonMobil have received approval from the TSX to purchase up to 25.4 million shares over the next 12 months. Imperial has bought-back 50% of its outstanding shares since 1995 and says the buyback is "in the best interest of the company and its shareholders." There are only 30 days left for the public to submit their comments on Teck's proposed Frontier Oil Sands Mine. Public consultations began in early April and the Joint Review Panel says it has received all responses from proponents. Frontier is a planned 260,000 bbl/day oil sands mining facility located about 110 km north of Fort McMurray. The first phase is expected to have a production capacity of 170,000 bbl/day. Husky Energy's senior VP Malcolm Maclean confirmed the company has awarded a contract to Swiss-based Allseas to install the topsides on its West White Rose wellhead platform. Kiewit Offshore Services will fabricate the topsides, to be designed by Wood Group Mustang in Corpus Christi, Texas. The topsides will be integrated with the platform's concrete gravity structure sometime in the summer of 2021. First oil from the offshore project is expected in 2022. According to BP and OPEC's latest 2016 data, Iran has overtaken Canada as the world's fourth largest oil producer (including NGLs). Both Iran and Iraq has moved up considerably from 2015. Canada was held back last year due to the spring wildfires in Wood Buffalo. The top three spots were unchanged with the US, Saudi Arabia and Russia producing a combined 36 million bbl/day, representing about one-third of global production. Prime Minister Trudeau continues his efforts to convince Canadians that the country's tough stance on carbon is actually good for the economy. In a speech delivered at the University of Toronto, Trudeau says Trump's withdrawal from the Paris climate accord "could be an opportunity for Canada to step up, to be innovating, to draw in investors and partners from the US and from around the world that do understand that this is the way the world is going." BC's Lieutenant Governor Judith Guichon delivered her throne speech this week, promising a wide ranging basket of goodies if Christy Clark's Liberals can hold on to power. Among the lengthy list of new government spending initiatives, the Liberals have promised to increase the carbon tax by $5/year starting in 2019 to $50/tonne by 2022, inline with tax rates mandated by the Trudeau Liberals. The provincial Liberals plan to offset the tax increase with other taxes "so companies with strong ties to BC have good reason to innovate and reduce emissions" and even promised to redirect funds towards lowering the PST. The BC government will be also investing $50 million over five years for 4,321 new electric car charging stations. Notably absent from the speech was any mention of Kinder Morgan's Trans Mountain Expansion Project (TMEP), whose annulment remains a high priority for the NDP/Green Party alliance. The number of Canadians collecting Employment Insurance (EI) benefits declined by 7,000 to 541,200 in April, a sixth consecutive monthly decline. The number of recipients in Alberta declined 3.8% to 79,200, also the sixth consecutive monthly decline. However, the number of EI beneficiaries in the province is still up 7.9% from the same time last year. Nationally, the number of new EI claims rose 4.1% for the month, led by a big increase in Newfoundland and Labrador. According to the Bureau of Safety and Environmental Enforcement (BSEE), Tropical Storm Cindy has forced the evacuation of 39 platforms in the Gulf of Mexico. The BSEE estimates about 16.5% of the region's oil production has been taken offline, representing about 290,000 bbl/day of oil and 440 MMcf/day of natural gas. The Gulf of Mexico produces about 17% of the country's oil and 5% of all dry natural gas. Cindy has since moved inland and been downgraded to a Tropical Depression. BP, ExxonMobil, Shell, Total and several large international companies have formed a new coalition to make the case for a national carbon tax in the US. The Climate Leadership Council has taken out a full-page ad in the Wall Street Journal in support of a "gradually rising and revenue-neutral" carbon tax starting at US$40/tonne, with funds redistributed back to all Americans. The group says its plan "would achieve significantly greater emissions reductions than all current and prior climate regulations, while helping America's businesses and workers get ahead ... the bottom 70% of Americans would be financially better off." The chances of a Republican controlled House and Senate passing a national carbon tax is somewhere between slim and none. 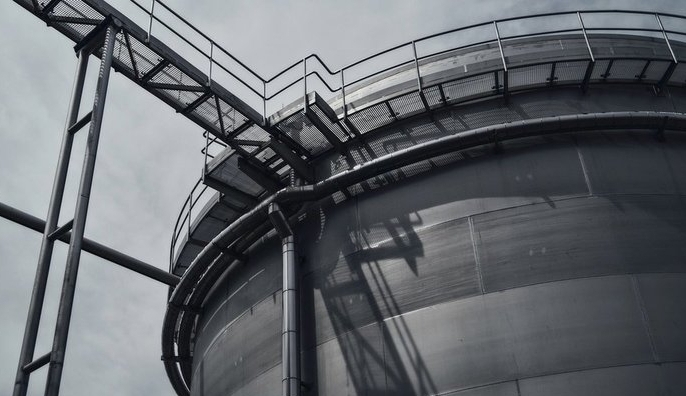 The Federal Energy Regulatory Commission (FERC) will begin public consultations on Veresen's Jordan Cove LNG Terminal and Pacific Connector Gas Pipeline next week in Coos Bay, Oregon. After denying the project twice in 2016, FERC accepted Veresen's re-application last February. Oregon senators have asked to extend the public comment period from 30 days to 90 days and schedule more public meetings. Assuming FERC gives the project the green light this time, Veresen will then file for a formal Environmental Impact Assessment in August. The terminal has a planned LNG export capacity of 7.8 million tons/year. Houston-based Cheniere Energy is offering deeper discounts and shorter durations for new LNG customers, irking its existing customers who are locked into 20 year take-or-pay contracts. Cheniere is building five liquefaction trains at Sabine Pass and two trains at Corpus Christi for a total cost of US$30 billion. Corpus Christi customers are locked in at $3.50/MMBtu while Sabine Pass customers pay a range of $2.25 to $3/MMBtu. All trains at both facilities are expected to be completed by 2019. Once fully operational, the company says it can deliver LNG to Asia at about $7.50 to $8.50/MMBtu, which would be the lowest in the world for new projects. Spot prices to Asia are currently about US$5.50/MMBtu. Cheniere also announced its first LNG delivery to South Korea this week, a market normally served by Qatar. Cheniere's management team are also moving closer to building a new US$7 billion gas pipeline that would connect producers in Western Canada's Montney area (straddling the BC/Alberta border) to company's export facilities in Louisiana. Cheniere became the first US company to export LNG in 2016 and recently scored their first contract to export Canadian Montney gas. Colonial Pipeline's operator sounded the alarm this week on low demand in its network, the weakest in 6 years. Colonial is the country's largest fuel distribution pipeline, connecting Gulf Coast refineries with markets across southern and eastern US. Line 1, which normally carries 1.3 million bbl/day, is running below capacity for the first time since 2011, during what should be the busiest time of year. High inventories in the northeast and low gas prices have resulted in lower volumes, despite record production from US refiners. After a weak start to the summer driving season, the US Energy Information Administration (EIA) says demand has reached all time highs several times in the past few weeks. The US Supreme Court has thrown out a petition from an American lawyer representing 30,000 Ecuadorian villagers and indigenous people trying to claim a US$9.5 billion settlement imposed on Chevron by an Ecuadorian court back in 1993. Chevron never operated in Ecuador but got implicated in the legal case through its purchase of Texaco in 2001, who turned over its Ecuadorian operations to state-owned Petroecuador in 1992. Under terms of the agreement, the government was responsible for remediation, but Petroecuador failed to clean-up the sites as promised. US courts had previously ruled that the NY-based legal team behind the lawsuit committed extortion, money laundering, wire fraud, witness tampering and obstruction of justice. Earlier this year, a Canadian court rejected the team's efforts to enforce the fine in Canada. Courts have also sided with Chevron in Argentina, Brazil and Gibraltar, where the legal team is based. Pittsburg-based EQT Corp has agreed to buy Rice Energy for US$8.2 billion, including US$1.5 billion in debt. If the deal is approved, it would be the largest merger in the US shale gas space. Occidental Petroleum has agreed to a US$1.2 billion land swap which will see its total production rise by 3,500 boe/day. The deal includes an enhanced oil recovery property and various pipeline assets. Occidental Petroleum is the largest operator in the Permian Basin. The EIA reported a big jump in products consumption last week, up 1.5 million bbl/day to over 20 million bbl/day. Crude oil inventories declined 2.5 million barrels, including a 1 million barrel decline in Cushing. Gasoline stockpiles fell 578,000 barrels while distillate inventories rose over 1 million barrels. Production creeped higher again last week, gaining 25,000 bbl/day in the Lower 48. The EIA also reported that refinery runs hit a record high of 17.7 million bbl/day for the last week of May. Despite record throughput, refinery utilization did not reach a new record since refinery capacity has increased in recent years, now up 659,000 bbl/day since mid-2015. Over the past month, refinery runs are averaging about 17.3 million bbl/day. Despite drawdowns in stockpiles, higher gas consumption and outages in the Gulf of Mexico, oil prices continued to slide lower this week, now officially in bear market territory (defined as a 20% from the peak). Statoil has received regulatory approval for the Njord and Bauge fields in the Norwegian Sea. Njord has already been in production for 20 years, and will now be upgraded for another 20 years of production. Bauge is a new field, containing an estimated 73 million barrels of oil equivalent. Total capital investment is estimated at about NOK 20 billion (US$2.4 billion). Mexico held it second round of oil and gas licensing auctions this week, where 10 blocks were awarded to a dozen oil majors, including Eni, Repsol, Total, Shell and Columbia's Ecopetrol. Under terms of the production sharing agreements, the government gets to keep 20 to 25% of the profits. Mexico produces about 2 million bbl/day of crude, down from a high of 3.38 million in 2004. The government hopes to reverse those declines by opening up its energy sector to foreign oil companies with deeper pockets and better expertise. Mexico’s Energy Secretary Pedro Joaquin called the auction results "wonderful." Venezuela is looking to import 13 million barrels of fuel this year, including gasoline, diesel and vacuum gas oil. The country's refineries are running at less than half capacity due to a lack of crude feedstock. Venezuela produced about 2.4 million bbl/day of crude in 2016, but some of that crude has been promised to China and Russia in lieu of cash for debt repayments. The country has a refining capacity of about 3.1 million bbl/day. Total CEO Patrick Pouyanne says his company is ready to sign a US$1 billion deal with Iran to develop the South Pars offshore gas field. Total was involved in the initial development of the field in the 1990s, but was forced to pull out in 2006 after sanctions were imposed. Total says it will be paid in condensate, not cash. Although sanctions have been lifted in Iran, trading in the local currency is still prohibited. CNOOC and Iran's Petropars are partners in the project, which could cost up to US$5 billion to develop. India has offered Qatar a long-term LNG contract, contingent on Qatar agreeing to take a stake in India's power plants. Natural gas shortages have left India's power plants struggling to operate at capacity. Qatar is the world's largest LNG player, producing about 77 million tonnes/year. India is working to dramatically increase their LNG import capacity in the next few years, from 21 to 50 million tonnes annually. SBM Offshore was awarded the contract for the next phase of the Liza project offshore Guyana. Having already completed front-end engineering (FEED), SBM will construct, install, lease and operate a floating production, storage and offloading vessel (FPSO) with a design capacity up to 120,000 bbl/day. ExxonMobil gave Liza the green light last week, which is part of the larger Starbroek block. Hess and CNOOC are partners in the project. Rosneft announced the discovery of a sizeable new oil field in the Laptev Sea in the Eastern Arctic shelf. The Russian oil major has invested US$1.7 billion in Arctic exploration and plans to spend another US$4 billion over the next 4 years. The government estimates the Arctic shelf could potentially supply up to 30% of the country's total oil production by 2025. Rosneft head Igor Sechin also says his company is working on a plan to live with lower oil prices and pay out a higher dividend. The company plans to increase production by about 450,000 bbl/day over the next 5 years. Rosneft currently produces about 4.2 million bbl/day and has assumed about US$40 oil for the next two years. Rosneft is controlled by state-owned Rosneftegaz. BP owns 20% of the Russian oil major. Rosneft and Swiss commodities trader Trafigura have been cleared to take-over India's Essar Oil. The US$12.9 billion deal has been under review for almost two years, as Essar's creditors scrutinized the acquisition. Each party gets a 49% stake. Essar Oil owns a 400,000 bbl/day refinery in Gujarat and 3,500 retail gas outlets. Essar's founder billionaire Ruia brothers will retain the remaining 2%. According to the latest 2016 energy statistics, India has overtaken Japan as the world's third largest oil consumer, now at 4.4 million bbl/day. The US and China are firmly in the #1 and #2 spot, consuming 19.6 and 11.5 million bbl/day, respectively. The Greek government approved an application by Total, ExxonMobil and Hellenic Petroleum to drill for oil and gas off the island of Crete. The country's only energy producer, Energean Oil, was also cleared for offshore exploration. Greece plans to launch a tender for drilling licenses through the second half of this year. Saudi Arabia's King Salman has promoted his son Prince Mohammed bin Salman to crown prince, placing the 31-year-old next in line for the throne, ahead of his older brother, 57-year-old Prince Mohammed bin Nayef. The younger prince has a reputation for being unpredictable, and will likely take a more active role in the state's energy sector. OPEC compliance allegedly hit a record 108% in May, according to anonymous sources. Non-OPEC partners in the production cuts (mostly Russia) are now fully compliant, successfully keeping 1.8 million bbl/day out of oil markets. According to the National Oil Corp, Libya's output has risen to 885,000 bbl/day and is on track to reach 1 million bbl/day by the end of July. Libya is exempted from OPEC's production quotas. Libya's gains have increased OPEC's production to 32.14 million bb1/day, up 336,000 bbl/day from the previous month. Nigeria's exports are expected to exceed 2 million bbl/day in August, which would be a 17 month high. Saudi Energy Minister Khalid al-Falih has so far refused to ask Nigeria and Libya to cap their production increases. Next edition of the Oil Sands Weekly: Friday June 30, 2017 @ 6pm MT.